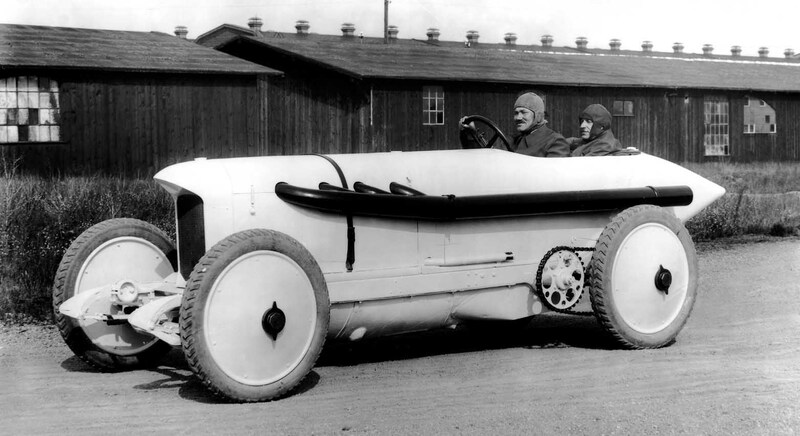 The motor sport history of Mercedes-Benz is a story of success. No matter whether you look at the 19th, 20th or 21st century, racing cars from Stuttgart have always been, and continue to be, in the top league in sporting competition. Countless racing victories - from the world's first car race in 1894 to Mika Hakkinen's Formula 1 World Championship titles in 1998 and 1999 with McLaren Mercedes - testify to perfect race car engineering, the drivers' unflagging determination to win and the development of efficient team work. More than 100 years of motor sport under the three-pointed star reflects the origins of motor racing as well as the breathtaking speed at which the engineering of the successful Mercedes-Benz racing cars developed. 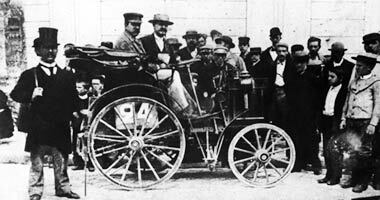 The motor vehicle had originally been conceived by its inventors - Daimler, Maybach and Benz - as a means of transport, not as a sports machine. But it wasn't long until courageous men came up with the idea of competing against each other in the first motorised vehicles. 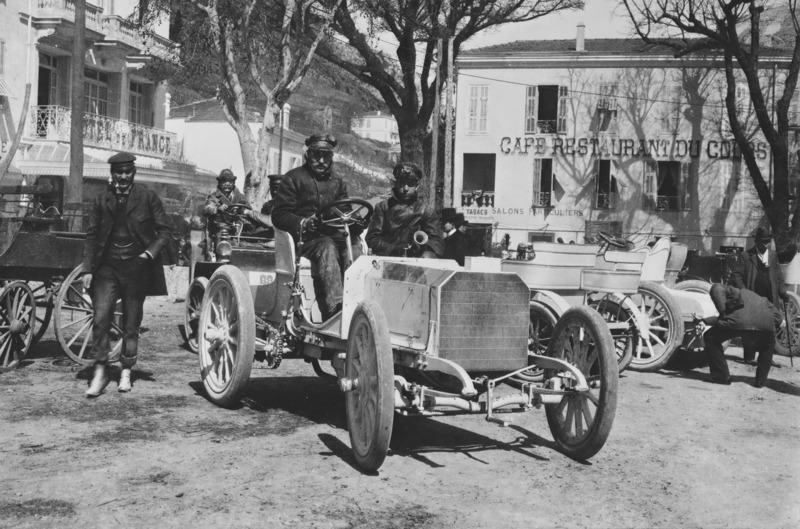 The world's first car race in 1894 marked the beginning not only of motor sport, but also of automotive engineering development at a breathtaking speed. 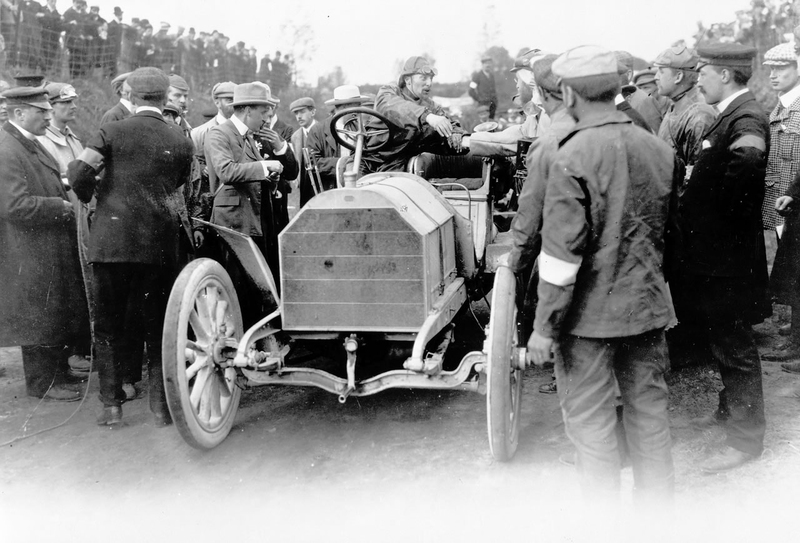 The motor manufacturers realised the publicity effect of successes in motor racing at an early stage and began using it to promote the sales of their road-going vehicles. In a first official effort of pitting themselves against each other - the international race from Paris to Rouen - the cars finishing in the first four places were powered by Panhard-Levassor engines built to the Daimler principle. These V2 units developed 3.5 hp and permitted the cars to cover the 125 kilometre route at an average speed of 20.5 km/h. In the following years, vehicles with Daimler engines continued in this vein, clinching numerous victories and thereby consolidating the good reputation of top-class engineering from Germany. The turn of the century marked the beginning of dynamic development, away from the previous carriage-type vehicle and towards the auto-mobile as we know it today. 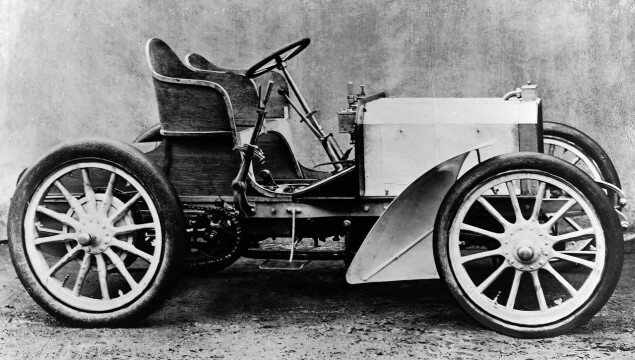 The sensational breakthrough was achieved at a surprisingly early stage, in 1901: Wilhelm Maybach built a pioneering car for the Nice race week, powered by a 5.9 litre four-cylinder engine installed at the front, developing a remarkable 35 hp and providing the car with a top speed of 100 km/h. It is attributable to Emil Jellinek that this modern car is regarded as the first 'Mercedes'. A business friend of Gottlieb Daimler who had died in March 1900, and something like a 'major customer' of Daimler-Motoren-Gesellschaft (DMG) even in those early days, Jellinek insisted that the car be named 'Daimler-Mercedes' - Mercedes was the name of his favourite daughter. The first Mercedes scored victory straight away in the Nice - Aix - Salon - Nice race. Company driver Wilhelm Werner covered the 392 kilometre route at an average speed of 58.1 km/h. The pioneering design of the front-engined Mercedes marked the consistent departure from the carriage principle, thereby influencing the motor manufacturers throughout the world in the design of future motor vehicles of all kinds. As early as 1903, the unrelenting search for ever better auto-mobiles led to a 90/60 hp Mercedes car at whose wheel the Belgian Camille Jenatzy - one of the first professional racing drivers in history - clinched a major international success for the Cannstatt-based company. Other highlights before World War I were the successes of Daimler and Benz in the French Grand Prix - an event in which 'la Grande Nation' in 1908 had actually wanted to prove that the fastest racing cars were French - but the laurels all went to Germany. A first and a fifth place for the 140 hp Mercedes cars, and second and third ranks for the racing cars of Benz & Cie. in Mannheim impressively proved the superior qualities of the German brands. Innumerable victories and respectable placings in road and hill-climb races followed in the years before the outbreak of World War II; worth emphasising is the repeat triumph in the 1914 French Grand Prix. On a race track near Lyon, Christian Lautenschlager, Louis Wagner and Otto Salzer scored an uncontested one-two-three victory in cars called 'Mercedes 115 hp 4.5 litre Grand Prix'. It took the victorious Mercedes drivers a little over seven hours to complete the 752.6 kilometre race - at an average speed of no less than 105 km/h. The fever to attain ever higher speeds had infected everyone. A worldwide stir was caused by one of the most fascinating cars of this era, the Blitzen-Benz ('Lightning Benz') of 1910. Its design was based in the successful Benz Grand Prix cars of 1908. Engineers Victor Hemery, Hans Nibel and their colleagues created an imposing auto-mobile which was to remain the fastest car in the world for a long time to come with its mighty four-cylinder engine. A power output of a hefty 200 hp generated exciting performance. The most impressive proof was provided in 1911 when the American Bob Burman established a speed record of 228.1 km/h over a mile with a flying start in Daytona - a record that remain unbroken until 1919. At the time, record runs were staged on sand tracks without exception, commanding due respect for the truly daredevil drivers, given the fact that the cars had comparatively poor ride characteristics and no windscreens. The impressive Blitzen-Benz also reveals the first aerodynamic influences on vehicle design.